R—-This trademark shows that the company is registered and legally protected by the owner of the firm. TM—- It slightly identifies as trademark by the owner of the company. But, it is not legally approved or registered or come under the law of trademarks. Trademarks generally give identification to your brand, logo, channels, signatures or signs, letters, headings, device, tickets, shapes, headings, etc. Also, they protect the goods and services of the company or give assurance about them to be legal. Note: Our fees for trademark registration is upto S$780 including government charges S$341 for the same. The trademarks on goods of a company can give a quality assurance for products to the customers. However, they will surely overwhelm when they will see quality trademark on your company’s products and services related to them. You can claim legally against any company or infringing party, if it is using your company’s trademark or symbol without your consent. However, it gives international protection to your company’s trademark to be misused or take advantage of it for business benefit. You can take legal action against the illegal party or company using your trademark without any fear. Under the Productivity and Innovation credit scheme, you can enjoy up to 400% rebates or 60% case payouts from Singapore government, if you register trademark of company legally. What are the Requirements for Filing Trademark Application? We at, Singapore Incorporation Services do provide you with authorized trademark application services as per industry norms in Singapore. A documented request or letter drafted in order for applying trademark application to the government. A list including details of goods and services need to apply for registration or may lie under international classification of goods and services. An explicit declaration of using trademark for business. Pay the fees for filing trademark application. Before going to do registration of trademark, you need to assure that your trademark is good enough to be representing graphically. And it should be verified by proofs of business or company attached with documents required for filing process. If you choose the marks that comprise a three-dimensional shape of the goods or its packaging, it can be represented by a line drawing too. If a single-view line drawing mark is not enough, you can go for multiple-views line drawing option that can be maximum 6 view lines only. If you require trademark in English or Non English or in Roman Characters, then English translation or transliteration is required to be mentioned during filing process. We do process the trademark applications of aspirant or company in a professional way and will raise all legal steps and verification procedures involved in the process. Firstly, we do start process by verifying or searching authenticity of existing trademarks in the record. If there is no similar or identical trademark is present in the records or it is not allotted to any other business area, we can go for the same or apply for it easily. For filing trademark registration, we will firstly obtain the right date for filing and examining of application within 1- 2 days of the filing date. We do conduct an examination formality of trademark upon receipt of the application and fees. This will check that the application is filled with all required details as asked along with fees paid in advanced or not. As a result of which, you will be provided with a trademark and a filing date for application too. Also, the application will be verified for legal format prescribed in the form and it should lie under the right classification of goods and services as mentioned in the form. Making SearchOnce your application will clear all examination formalities, the Trade Mark Examiner in the Registry of Trade Marks will go for a search process to find out similarity in trademarks applied by your end. The aim to raise this step is to search that the looks or sounds of trademark of yours is already registered or has been applied or being used by someone else for goods and services of the company or not. Moreover, the examiner will also search that, if marks containing any geographical name or not.For instance, in case of pharmaceutical products, the Registry of Trade Marks will take a look the marks have protection of International Non- Proprietary Name (INN) or not. Here, INNs is affiliated by World Health Organization (WHO), and are genuine names used for substantial pharmaceutical products.Thus, above are basis of objections, which can be raised against trademark application to check their authenticity. Moreover, the specifications of goods or services will be checked in order to assure that they belong to the classification of International Goods and Services category or not. In case, the trademark selected by you will be found wrong or not matching to the particular International classification, your application will be rejected by the registrar. Now, you need to file for new application once again. Furthermore, the applicant’s wrong mark details or classification may also lead to late acknowledgment of application too. Once you will get done with search part, your trademark application will go for examining or determining that the marks you have selected are applicable to be registered as per law or not? The examiner will come across the mark’s category or International Classification and will ensure that the mark belong to same category accordance to the law. In case, the marks do not match to the prescribed area or classification, the examiner will send inform about it to the applicant soon or will raise the objections too. Also, the examiner will provide a specific period of time to conquer the objections and file application once again with asked requests. In case, you are not able to manage asked requirements within given time frame, you can also request for an extension of the time to fulfill the objections of examiner. After meeting requirements of objections of the trademark application or if there is no objection at all, the applicant will be informed about verification and acceptation of the application soon. This will also be published in the Trade Marks Journal for public acknowledgment. So, if any party has objection of your registered trademark, then it can file for objection for registration of the mark within two months of publication as well. It is the step in the trademark process in which any private member or outsider can show objection for the grant of trademark registration. But, make sure, the given reasons are genuine. The kinds of oppositions or objections may be like that there is similarity between a registered or non registered mark and so on. Once the applicant will get the objection letter, then he or she has to respond accordingly. Make sure the candidates and opponents do have right evidences to support their objections on legal ground. After that, the both parties have to appear to the registrar or representative of the Registry of Trade Mark then the authorized person will take care of their issues and shall reach to right decision on the applications of them. The decision will be based upon the provided information and reasons of both parties. RegistrationOnce the matter of opposition of the trademark registration gets resolved by the registrar in favor of the candidate or it is free from any complaints, then Registry of Trade Mark will process the application of the applicant and will issue a legal registration certificate for the same soon.Thus, above are the steps involved in the trademark application process that needs to be followed by applicants without fail. Also, you need to arrange all require documents and follow verification procedures to know authenticity of trademarks before filing registration of them for goods and services of the business. A patent is a right granted to the owner of an invention that prevents others from making, using, importing or selling the invention without his permission. 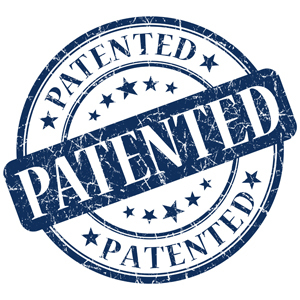 A patentable invention can be a product or a process that gives a new technical solution to a problem. It can also be a new method of doing things, the composition of a new product, or a technical improvement on how certain objects work. Once it is granted, its term of a patent is 20 years from the Date of Filing, subject to the payment of annual renewal fees. Once you register a patent, apart from using the patent to prevent others from exploiting your invention, you can employ it to raise funds for your business, license it to third parties for commercial returns or sell the patented invention. We charge a fee of $S 10,000 including search fees for the registration of patent. 1. New – The invention should not be publicly known in any way, anywhere in the world. Owners of inventions should be careful to keep the invention secret until a patent application has been successfully made. If the idea has already been talked about, commercially exploited, advertised or demonstrated, then the novelty of the invention may be compromised. If the invention needs to be disclosed to a third party before a patent application has been made, a non-disclosure agreement should be drawn up. Once a Date of Filing has been obtained for the patent application, the invention can claim a “Patent Pending” status and the applicant can proceed to disclose the invention as indicated in the patent application to interested parties. As part of the application process, the patent application will be published after 18 months and if the statutory requirements are met. Once published, details of the invention will be made available for public inspection. 2. Inventive step – The invention must be something that represents an improvement over any existing product or process that is already available. The improvement must not be obvious to someone with technical skills or knowledge in the invention’s particular field. If an invention is new yet obvious to a person skilled in the art, the invention would not fulfil the inventive step requirement. 3. Industrial application – The invention must be useful and have some form of practical application. It should be capable of being made or used in some form of industry. An invention of a method for the treatment of the human or animal body by surgery or therapy, or of a diagnosis practised on the human or animal body. An invention that could encourage offensive, immoral or anti-social behaviour, even if it satisfies the key criteria for patents.